Tomorrow, I fly out to Nashville for THE BIG DAY! Haha oh no, not my wedding day… MARATHON DAY. As I have mentioned (probably more than you would like), I am running the Rock’n’Roll Nashville Country Music Marathon this Saturday! So this week one of my main focuses has been selecting the PERFECT marathon outfit. I love fitness and working out and talking about fitness and writing about working out… love it. However, I also love, possibly equally, WORKOUT CLOTHES. I kind of love clothes in general and would like to eventually talk a little more about that on the blog. I’m kind of nervous about talking about my “style” on here because I don’t want to open myself up to harsh criticism (hey, we all have our insecurities, just trying to be open and honest about mine!). But the idea of fashionable “designer” workout clothes has really exploded in the last few years and I find it a really interesting trend. 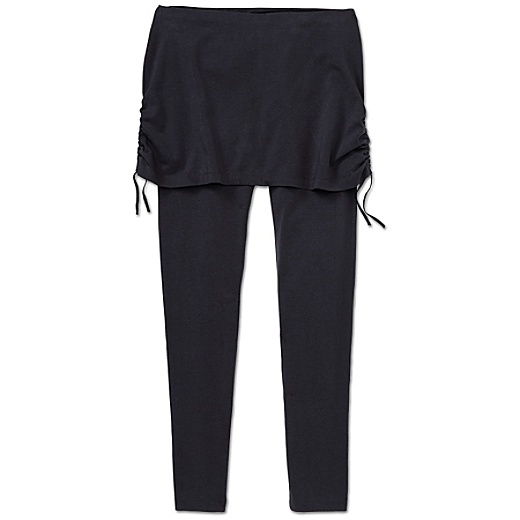 Lululemon Run: A Marathon Crop in Black/Menthol/Wee Stripe White Menthol – Don’t have… WANT. Wanted to buy them for my marathon but wasn’t in the budget this go around. Still keeping my eye on them and will probably be making the investment in the near future. 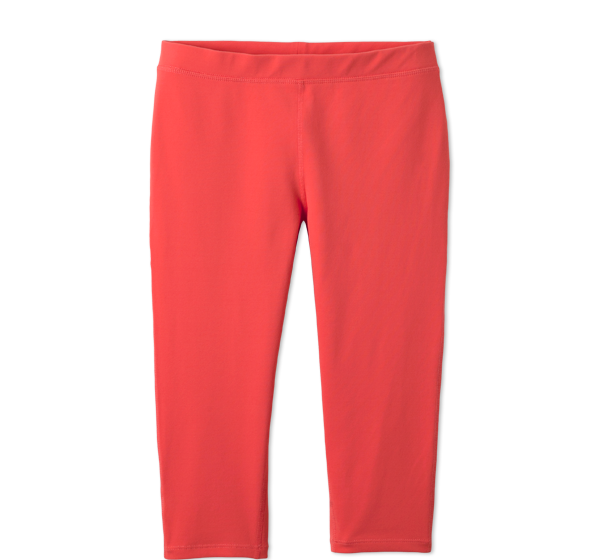 prAna Ashley Knicker Legging in Coral – Have… LOVE. The color rocks. I feel like I’m ready to party when I wear these pants. Plus they’re super fitted, so they’re not going ANYWHERE no matter what I am doing. Lululemon Scoop Neck Tank in Discover Stripe White / Deep Indigo / Aquamarine – Have… LOVE. Will be running my marathon in this tank this weekend! It’s bright enough that hopefully my parents / Mike will be able to find me in the crowd. ALO Clothing Geo Tank in Tango Red / Fusion* – Don’t have… WANT. I have other ALO items and they’re awesome. I have one of their sports bras that is close to this style. It’s adorable and really high support. Lucy Enlighten Mesh Tank in Plumeria** – Don’t have… WANT. I’m digging the trend of the sports bra with a looser top over it, especially with the adjustable cord along the bottom. There is nothing worse than trying to focus on my handstand and being suffocated by my top! Athleta Organic Cotton Brahma Legging in Black – Don’t have… WANT. I am really into the leggings with a long roll down over it. They are fashionable and cover areas where you may not want people to see ALL your details. * Got the picture HERE. ** Got the picture HERE.